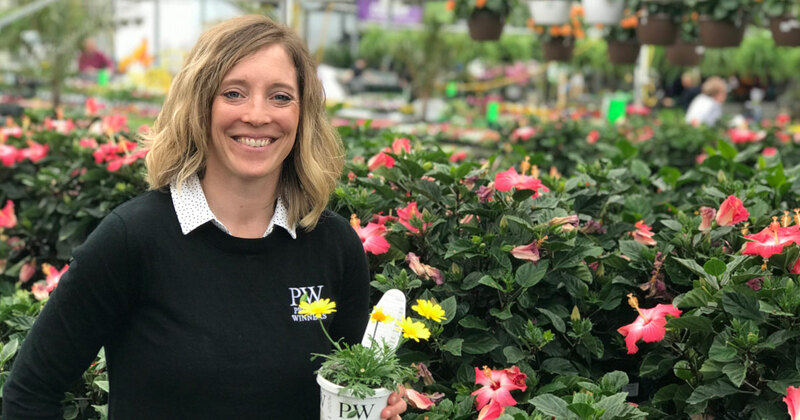 Jessica from Proven Winners takes a stroll around Prairie Gardens greenhouses and highlights some of her favorite plants! Including Cuphea Vermillionare (a hummingbird magnet), Coleus Golden Dreams, and more. Plus…she gives quick container gardening recipe picks with her spiller, fillers, and thrillers container tips. Look for these varieties in the Prairie Gardens & Jeffrey Alans Greenhouse this spring! Preforms exceptionally well in the heat and summer months. Tube-like bright flowers make this a hummingbird magnet! Superbells Doublelette LoveSwept: Great for baskets & mixed containers. Beautiful, carnation-like flower bloom. Plant in full sun. Coleus Golden Dreams: You can plant it in full sun or full shade. The more sun it receives the brighter red it will be. The more shade it receives the more green it will be. Sedum Lemon Coral: 2019 Proven Winners plant of the year. Very tolerant, can withstand many containers. Drought tolerant. Great in the landscape or in mixed containers. Plant in full sun to shade. THRILLER PICK: Osteo Bright Lights Double Moon Glow – bright yellow flower with double blooms, so the flower doesn’t close even with lower light levels. Will bloom all summer long. Plant in full sun. FILLER PICK: Euphorbia Diamond Frost – continues to fill out all summer long with soft white yellow flowers. Very drought tolerant! SPILLER PICK: Petunia Lovey Dovey – great two-tone color, bright white and pink almost star pattern. Will flower all season long and cascade over your container. Plant in full sun. New for 2019! Gorgeous silvery blue color. Upright Cypress you can use as a centerpiece in your containers and then you can put it out in your landscape. Great foliage. Great texture. Great scent! Look out for these varieties in the PG & JA Greenhouse this spring!